Leopardstown Racecourse are hosting their Ladies Evening again this year, in aid of Breast Cancer Ireland. 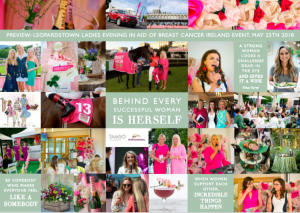 In its second year, the event will target discerning women in business and racing ladies to a race day in aid of Breast Cancer Ireland on Friday, May 25th. The popular Dublin track will host an enchanting evening of networking, racing and luxury including a Moët & Chandon Afternoon Tea, live music and inspiring talks from some of Ireland’s leading women.. 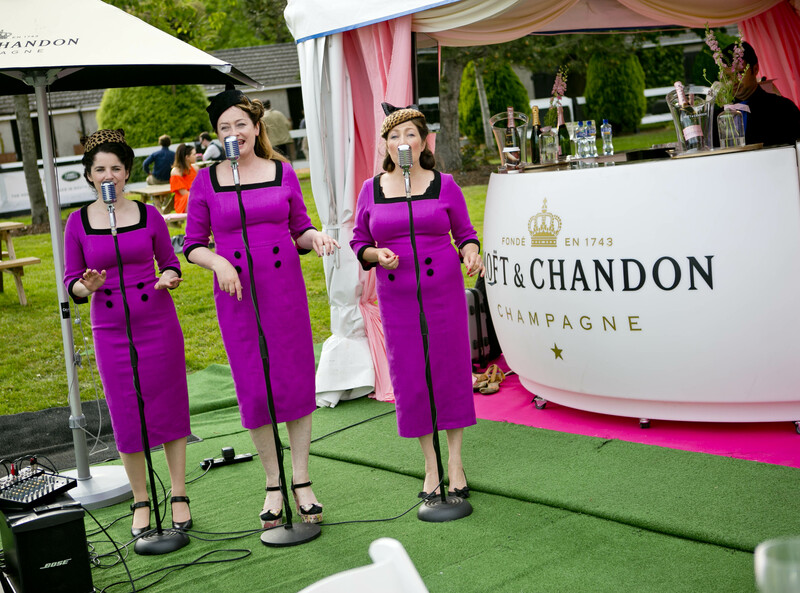 The stylish evening is a move away from best dressed competitions and the focus is on celebrating women and capturing that ‘Friday feeling’ with course-wide entertainment including vintage jazzy trio, The Bugle Babes and a Moët & Chandon Champagne Pop-Up. There are an array of ticket options to suit everyone and a donation will go from all these to Breast Cancer Ireland. 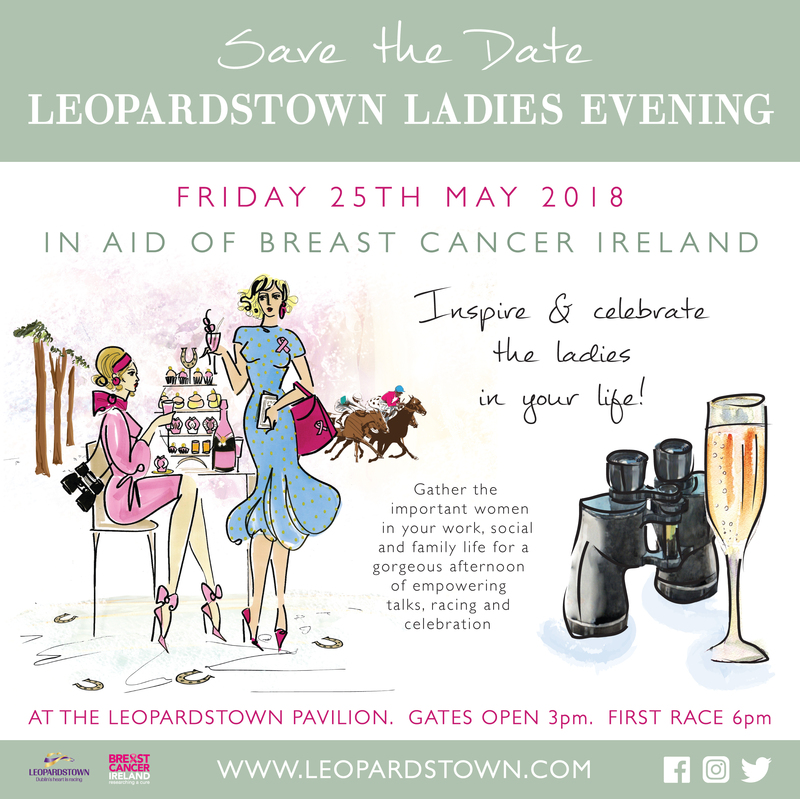 Admission tickets to this exciting event are only €20, for something a little bit extra and also a fantastic idea for a Mother’s Day present is the Moët & Chandon Afternoon Tea option. 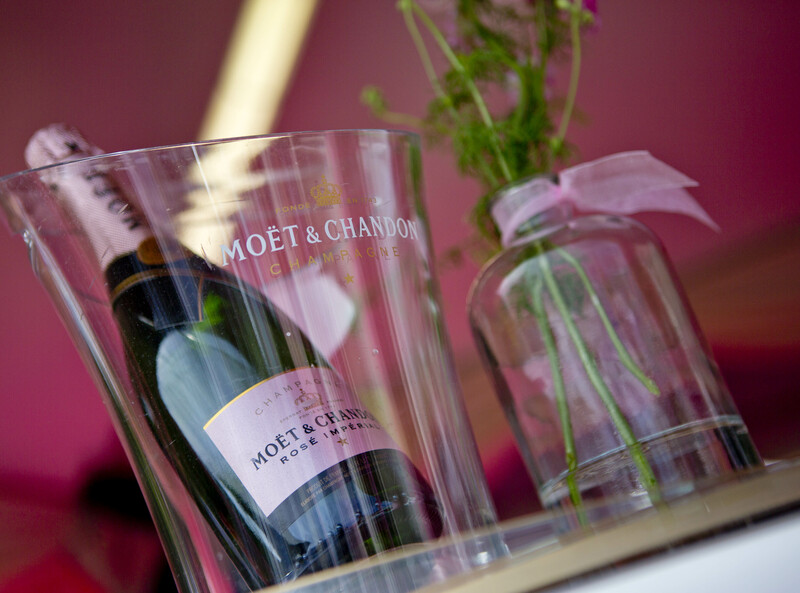 This luxurious afternoon tea will be hosted in the Leopardstown Pavilion Mezzanine with spectacular views over the racetrack and will feature sweet and savoury delights accompanied by a glass of delicious Moët & Chandon champagne and is only €65 per person. The final option is the Race-Forward Event which was sold out in 2017, hosted in the Leopardstown Pavilion the afternoon will commence with a Moët & Chandon Reception followed by a gourmet meal featuring live cooking stations before an enthralling evening featuring inspirational talks with Ireland’s leading ladies exciting racing. Tickets cost €150 per person and early booking is recommended. With seven races on the card, the feature race is The Seamus & Rosemary McGrath Memorial Saval Beg Stakes (Listed race) which is a well-known trial race for the Ascot Gold Cup and has been won by house-hold equine names such as Media Puzzle, Fame and Glory, Pale Mimosa, Yeats, and last year by Aidan O’Brien’s Order of St George. The first race is off at 6pm with gates opening 4pm. Further details and speakers will announced over coming weeks. 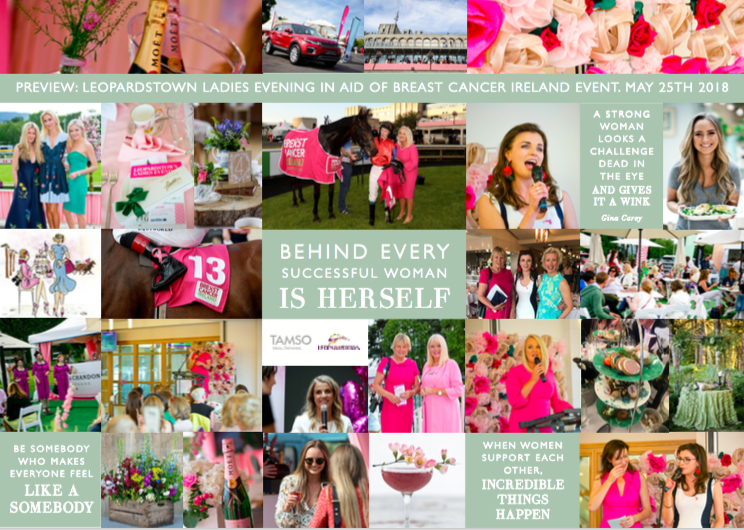 Breast Cancer Ireland is a registered charity established to raise significant funding to support pioneering research programmes nationally as well as to promote education & awareness on the importance of breast health amongst women of all ages. BCI’s vision is to to transform Breast Cancer from often being a fatal disease (680 deaths annually) into a treatable long term illness and to realise that vision by speeding up Breast Cancer research discovery times in Ireland by 1.) Creating a National Bio & Patient Profiling Resource – where the eight designated cancer centres collaborate and share samples, thereby increasing volumes available for all Clinicians and Scientists to access. 2.) By creating a State of Art Clinical Breast Cancer Research Facility offering translational therapies…from bench to bedside for patients diagnosed. & by 3.) heightening awareness and education on the importance of breast health amongst women of all ages as earlier detection will save lives.